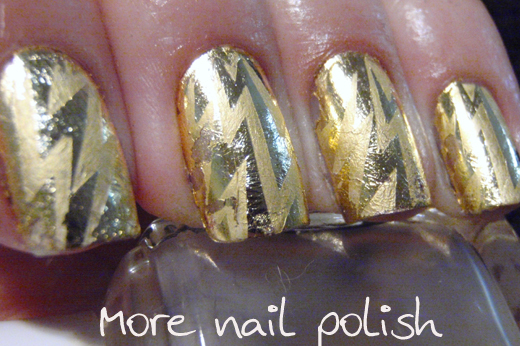 Here is a bit of a fun and blingy mani. 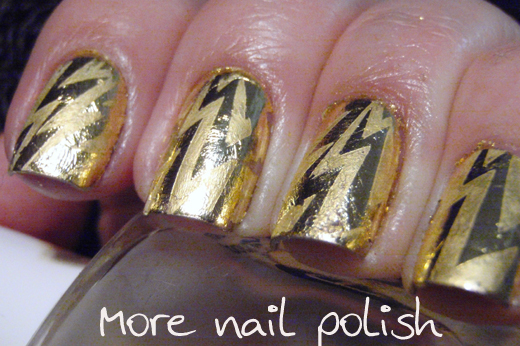 I decided to do all my nails in gold leaf, where I painted my nails with a gold polish (China Glaze 2030) and then put on top coat. 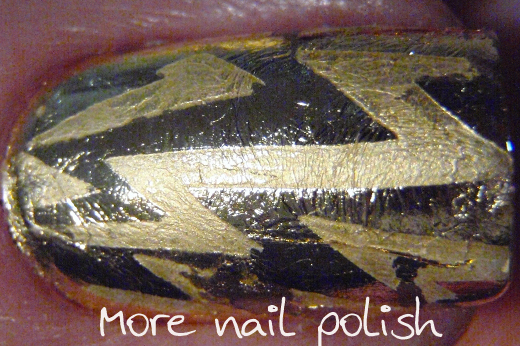 While the top coat is still tacky, apply the gold leaf. 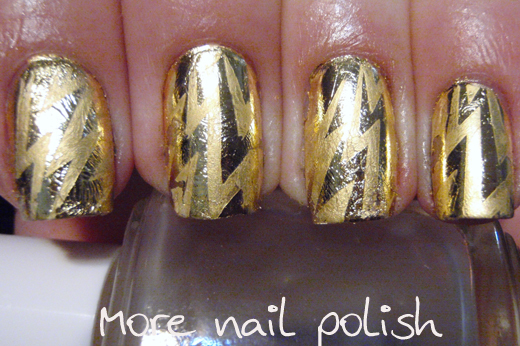 I then stamped it with the lightening design from Bundle Monster plate BM-305 using Essie Matte About You. 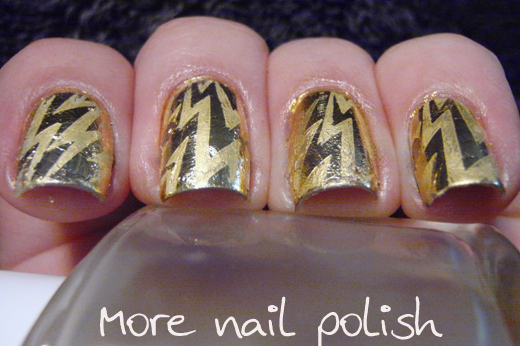 The matte stamping crinkled the foil a little, and it's particularly noticeable in these photos, but in real life you don't really see it. This didn't last long, but it was real fun to wear!